Indiegogo has been a revolutionary force in fundraising. Now they are helping an Aspen-based luxury hotel raise $18 million USD via a token sale. Unlike many of the ICO’s that have been launched over the last year, the new token will be backed up with equity in a physical business. Although this isn’t the first time that tokens have been issued with the backing of a tangible asset, it could the start of a new trend in both token sales, and the securitization of real-estate assets. The idea of selling shares in a real-estate venture via a REIT is an established way for investors to gain access to a small interest in real-estate. Most of the time REITs are sold via the major equity exchanges, like the NYSE. Now it looks like enterprising companies are tapping the still-hot ICO market to attract capital. Indiegogo says they won’t be selling any STOs (Security Token Offerings) directly. Instead they will will act as a researcher, and ‘vet’ any token offerings they help promote. The current token offering for the St. Regis Aspen is ultimately being offered by Elevated Returns, who bought the hotel back in 2010. Indiegogo will receive a 5% commission from any tokens they sell, which could make this deal worth as much as $900,000 for them. A STO isn’t like most cryptocurrencies. The vast majority of cryptos are like fiat currency, in that they have no intrinsic value. This isn’t suggesting they are worthless, just most cryptos rely on faith to have value. STO’s are in a different class altogether. Anyone who buys a token from Aspen Digital will actually own equity in the St. Regis Aspen, which may or may not be a good investment. Whether or not the St. Regis Aspen is a continued commercial success is an afterthought in the emerging STO market. There haven’t been many STOs so far, but that could be changing. Another STO that was received well was SwissRealCoin, though at last glance it was caught up in some local regulatory hurdles. The Aspen Digital token looks like it has a much firmer legal footing, as it is being offered under the SEC’s Reg D, Rule 506 (c), General Solicitation, by Templum Markets LLC, a Securities and Exchange Commission-registered broker-dealer. Templum is also a member of the Financial Regulatory Authority (FINRA). The USA has been lagging in the blockchain regulatory space, but it looks like Indygogo et al. have found a way to operate in the existing financial infrastructure. The Aspen Digital token is another way that cryptos can be traded for hard assets. It is interesting that established venture capital firms are open to accepting major cryptos like Bitcoin and Ethereum is exchange for equity in a upscale resort. There is a tremendous amount of real-estate globally, and if tokenized sales become popular, this kind of funding structure could become far more common. As the above example illustrate, there are some legal considerations depending on the jurisdiction. The Aspen Digital token seems to be a simpler system, as it has a fixed amount of capital, and is limited to one business and property. SwissRealCoin was designed as an open-ended entity, which presents some challenges. Not all real estate ventures will have the same yield, and all will require management to maintain their value. In practical terms, this means that investors are buying into both hard assets, and a management team. Buying into a managed portfolio of properties will require due diligence, which puts Indiegogo in a good position going forward if the market for real-estate backed STOs heats up. 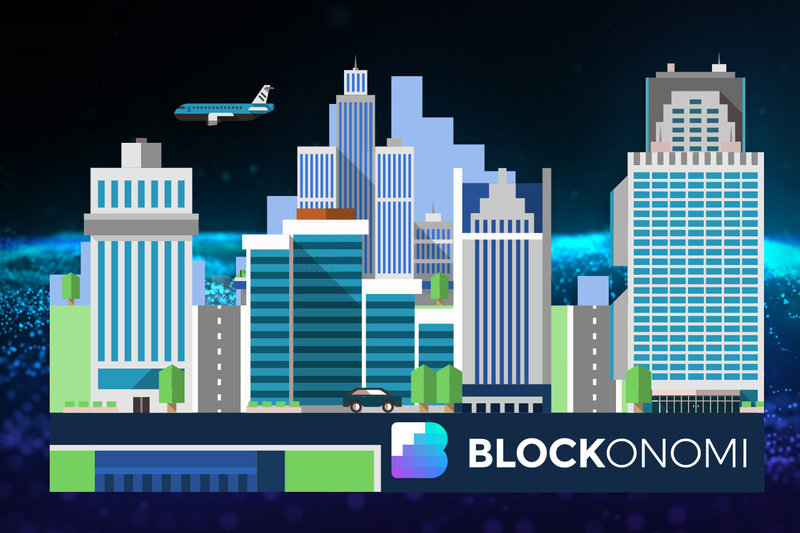 The post Indiegogo Markets Real Estate via Blockchain in Aspen Digital Token Sale appeared first on Blockonomi. Next Next post: Will World Bit Bank repeat the PRE-ICO Success?